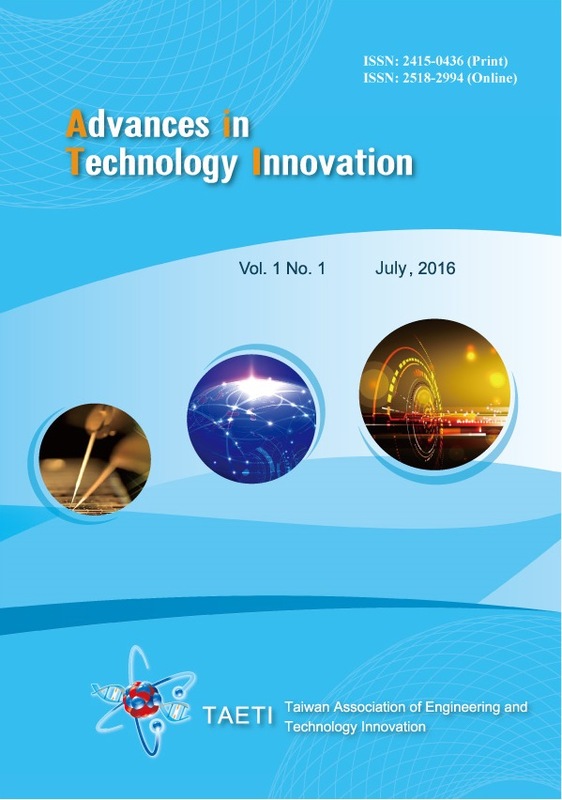 On behalf of the Editorial Board, I am delighted to announce the publication of the inaugural issue of Advances in Technology Innovation (AITI), published by the Taiwan Association of Engineering and Technology Innovation (TAETI). AITI is an international, multidiscipline, peer-reviewed scholarly journal, published quarterly for researchers, developers, technical managers, and educators in the field of engineering and technology innovation. The journal is intended as an outlet for scientists and academicians all over the world to share, promote, and discuss the newest finding, issues and developments with the community. AITI is now accepting submissions from perspective authors to be considered for publication and included in the future issues of the journal. Articles of original research, reports, reviews, and commentaries are welcomed by AITI. For more information about the journal or the submission process, please visit the journal’s website. It is a great pleasure to include in the first issue of AITI, six papers written by leading researchers in the international community. I would like to thank all these authors for their wonderful papers, and we also believe that they will make this into a valuable source for researchers and practitioners. The efforts of many people have made this journal possible. First, special thanks must be given to the editorial board. They have helped to define the role of the journal, the review process, the format, and the content of the journal. Next, I would like to acknowledge the reviewers for their timely and comprehensive reviews. Finally, I must be grateful to the staffs of the editorial office, who have worked for so many months to compile this first issue and complete the website. W.-H. Hsieh, “Introduction to the First Issue”, AITI, vol. 1, no. 1, p. iv, Jul. 2016.